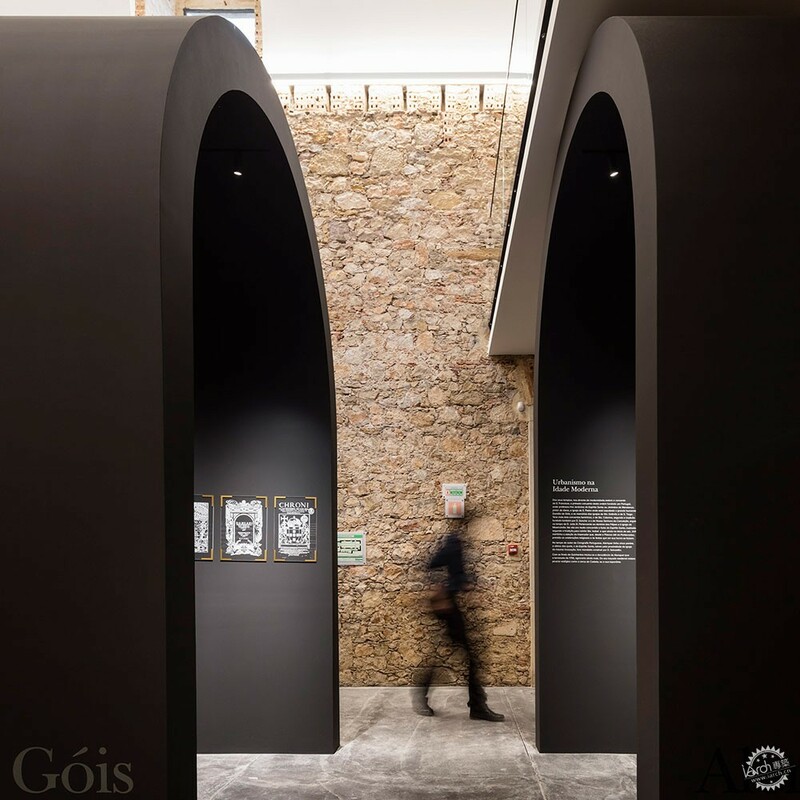 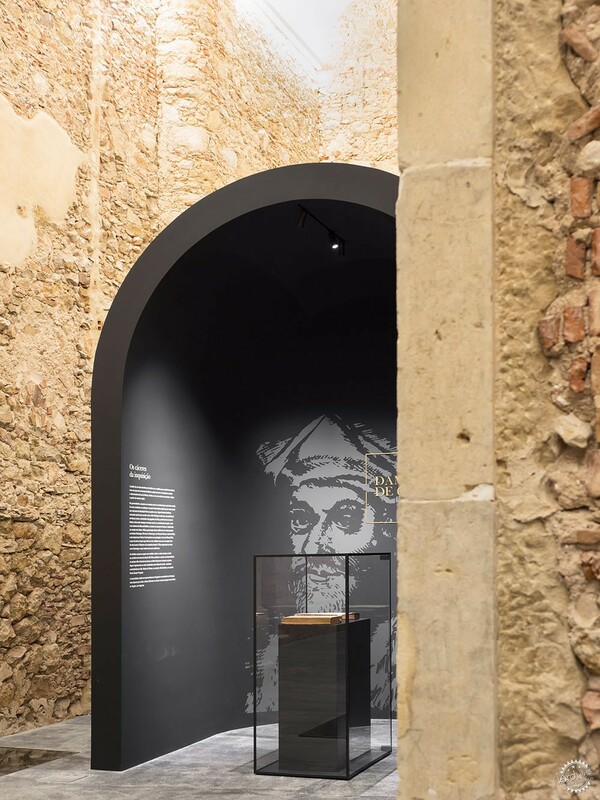 Architecture studio Spaceworkers has created an arched exhibition space in an old Portuguese church, to celebrate the life and legacy of philosopher and scholar Damião de Gois. 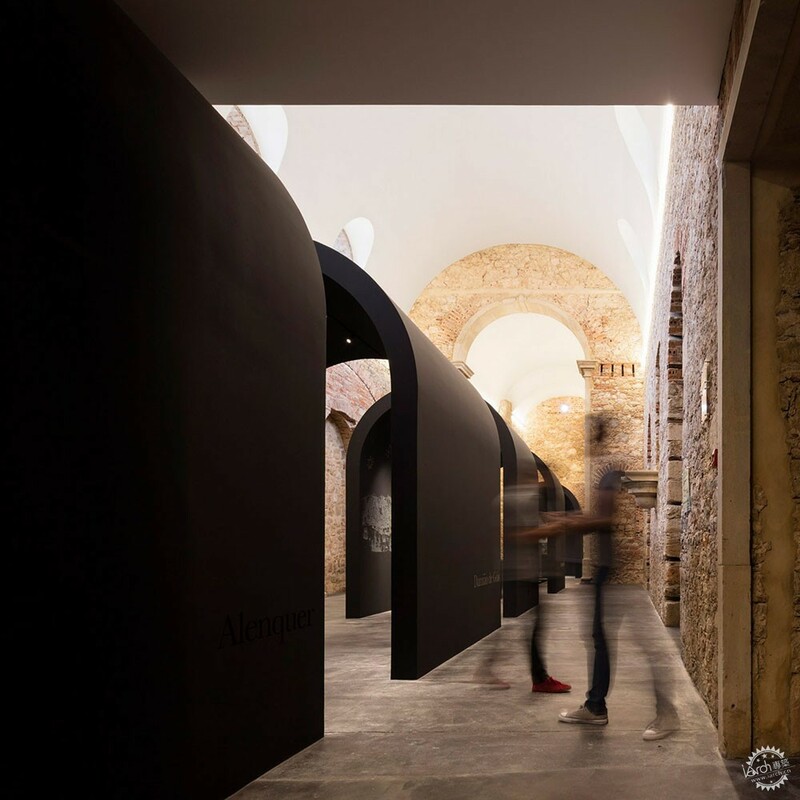 Spaceworkers was commissioned by the Municipality of Alenquer to create the mini museum, as a permanent fixture inside a restored church in Alenquer, central Portugal. 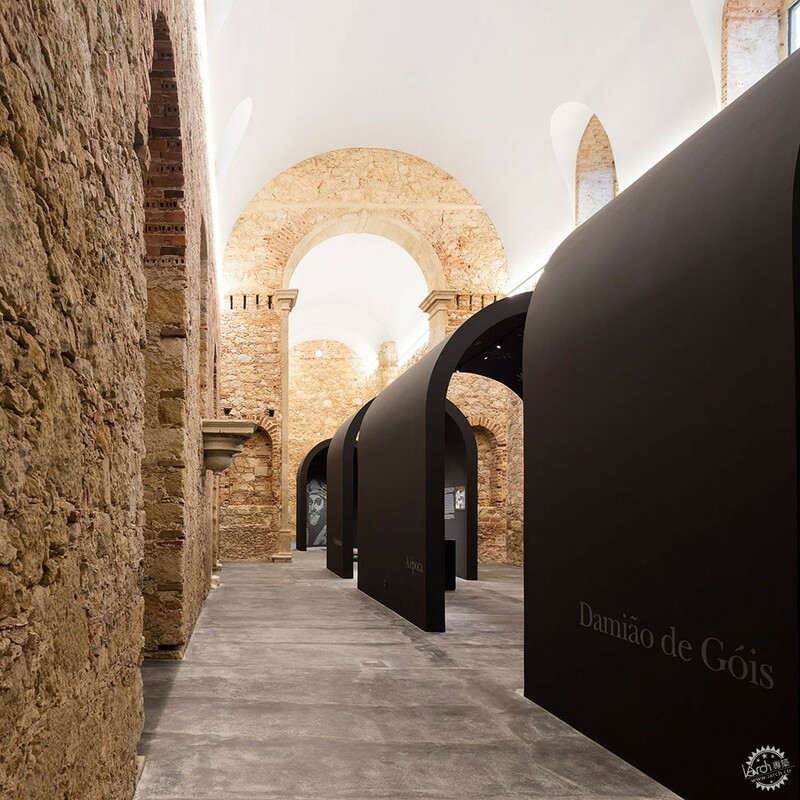 The venue was chosen because of its historical relationship with De Gois, who was baptised and later buried at the church in the 16th century. 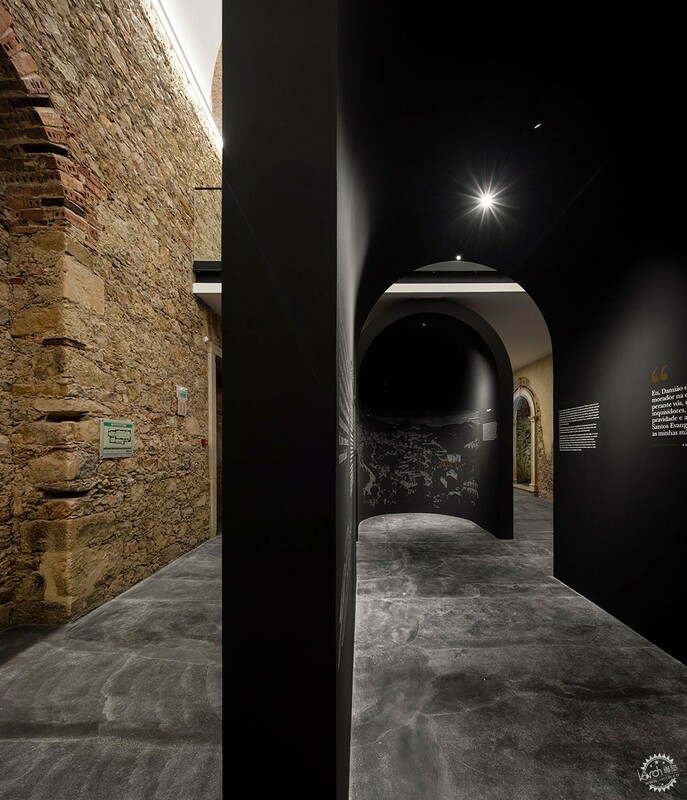 "Intervening in an existing building is in itself a good challenge. 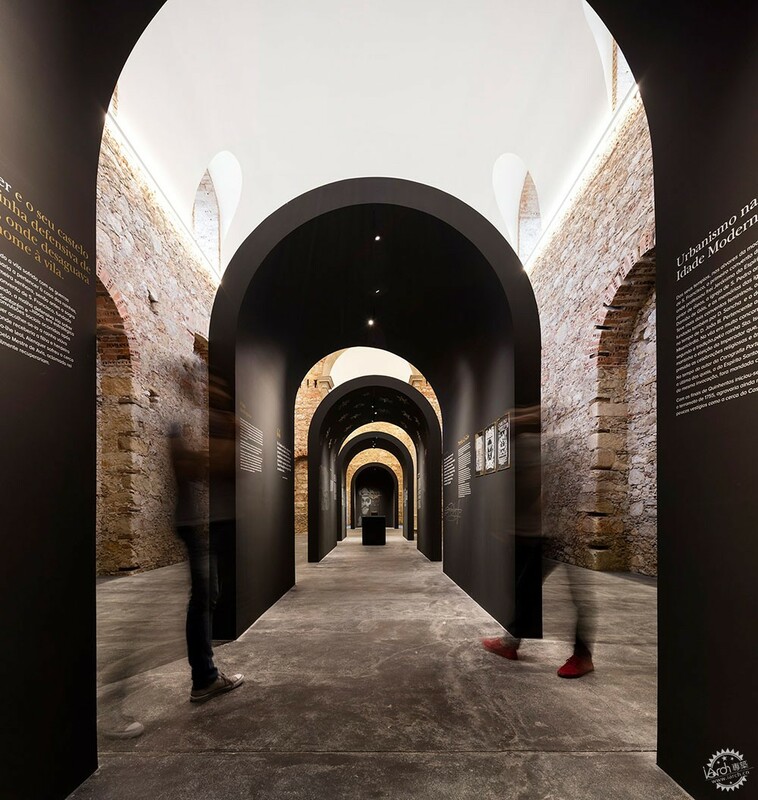 But when we have added centuries of history, the challenge is even greater," said the studio, which is led by architects Henrique Marques and Rui Dinis. 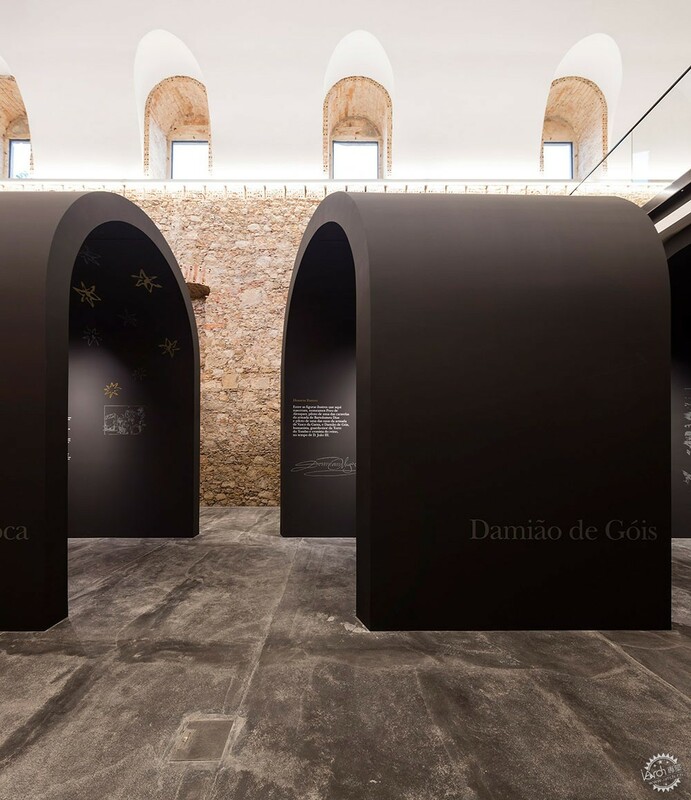 "The only requirement was to create something that didn't hurt the existing structure, while telling the history of Damião de Gois," they told Dezeen. 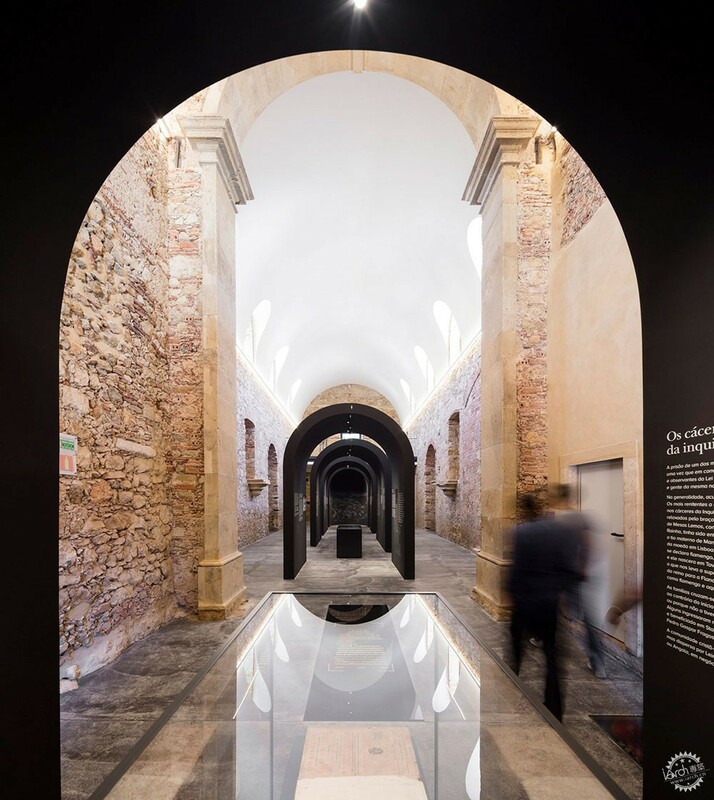 The church had been derelict for centuries, but underwent a restoration last year under the supervision of the municipality. 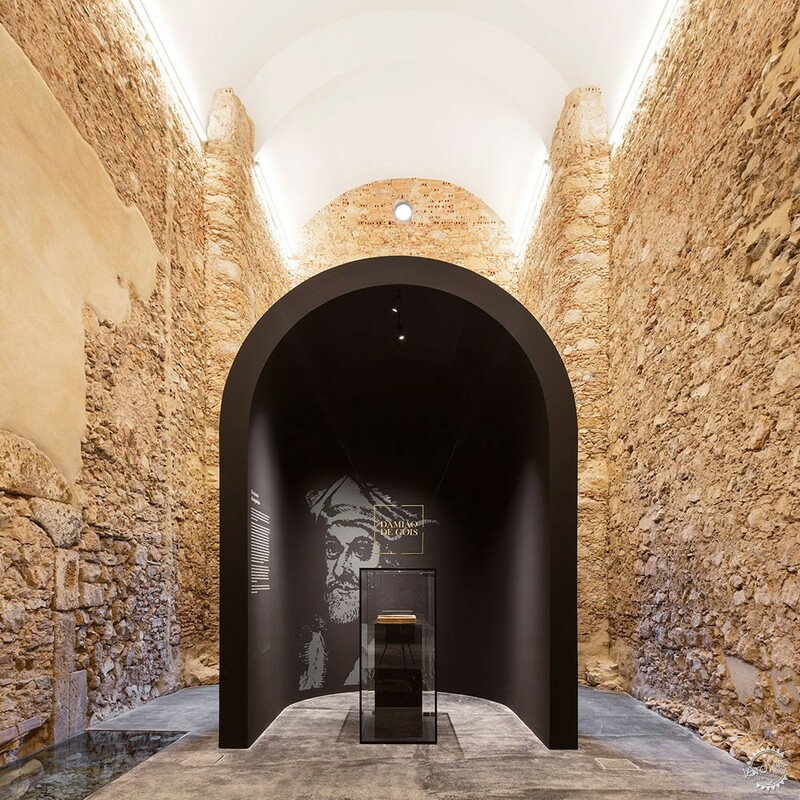 Spaceworkers' installation occupies a space measuring 175 square metres. 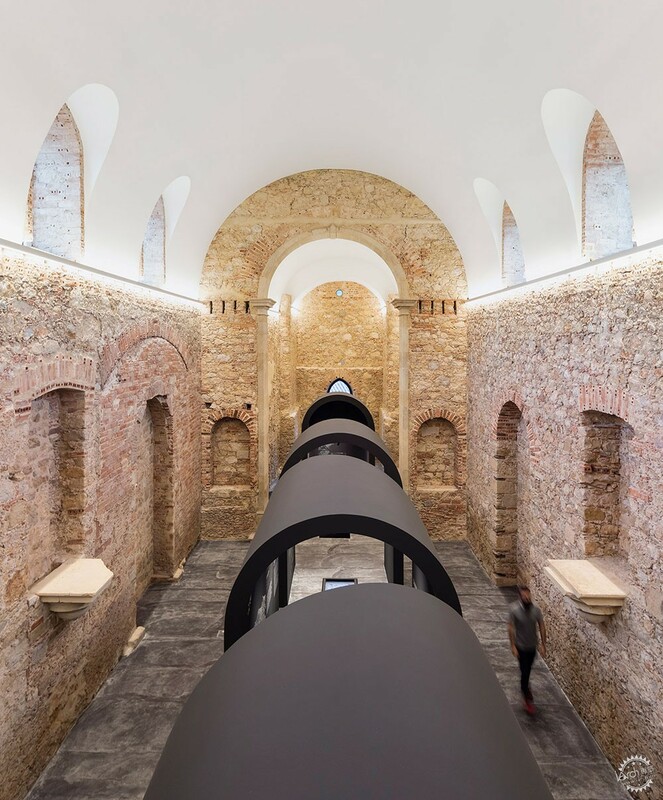 It comprises a series of black tunnels that extend longitudinally, featuring curved profiles that follow the arched shape of the ceiling above. 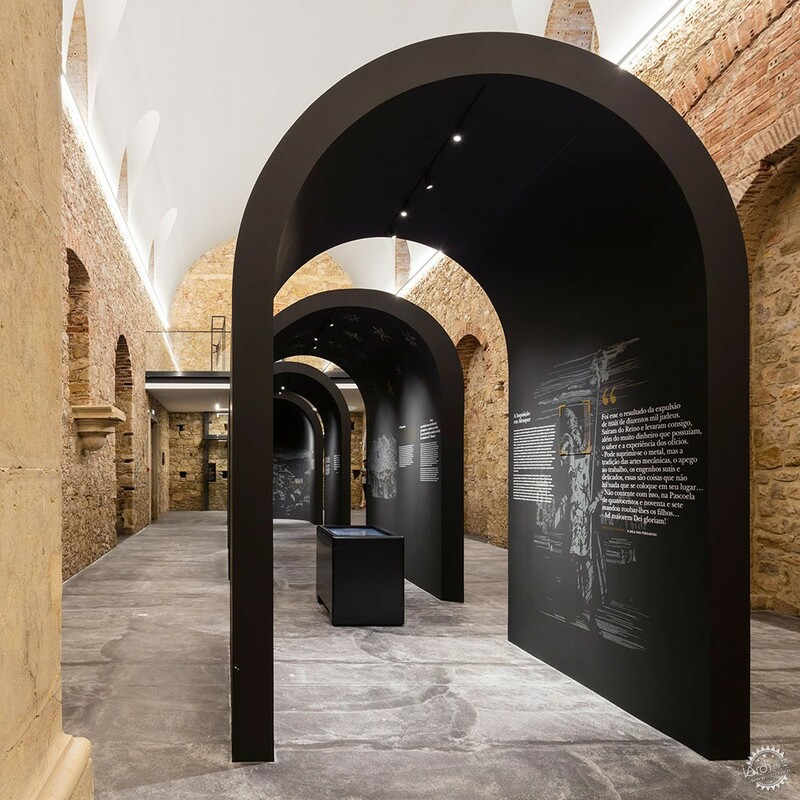 Inside each tunnel, illustrations, artefacts and captions adorn the walls, while further objects are displayed on plinths. 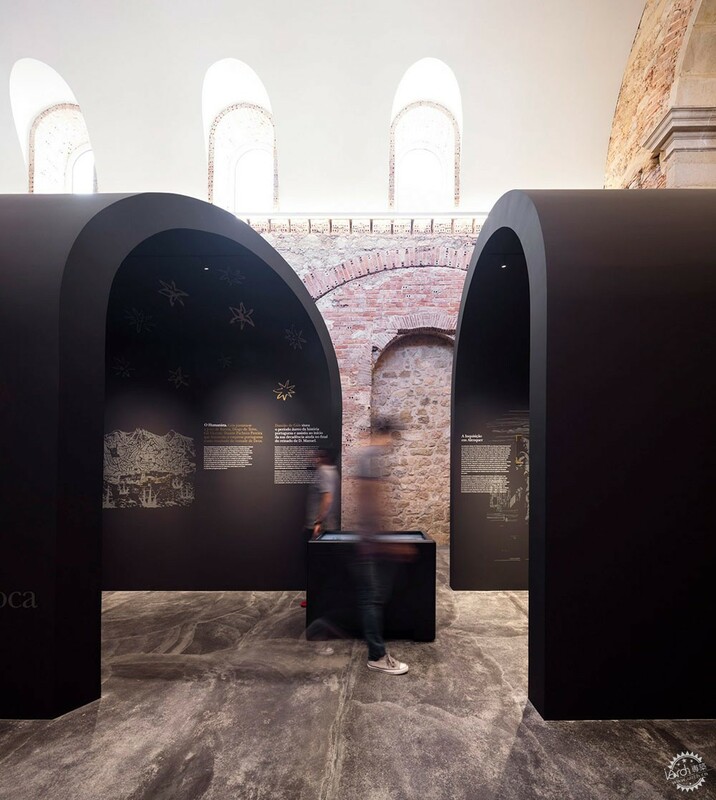 Lighting is also integrated into the arches and directed towards the displays. 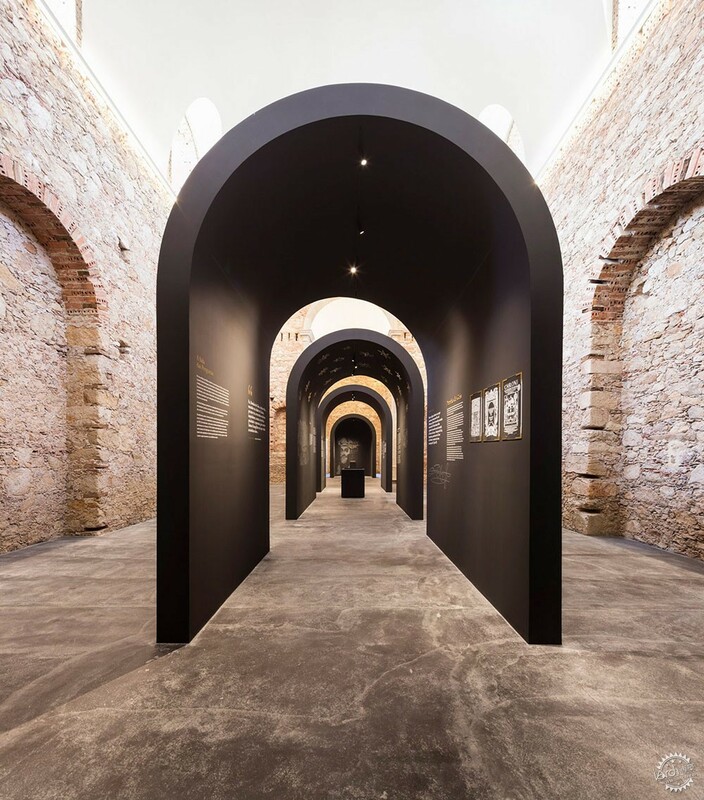 The rest of the space – for instance, the vaulted ceilings and exposed brick walls – are not disturbed, creating a visible contrast between old and new. 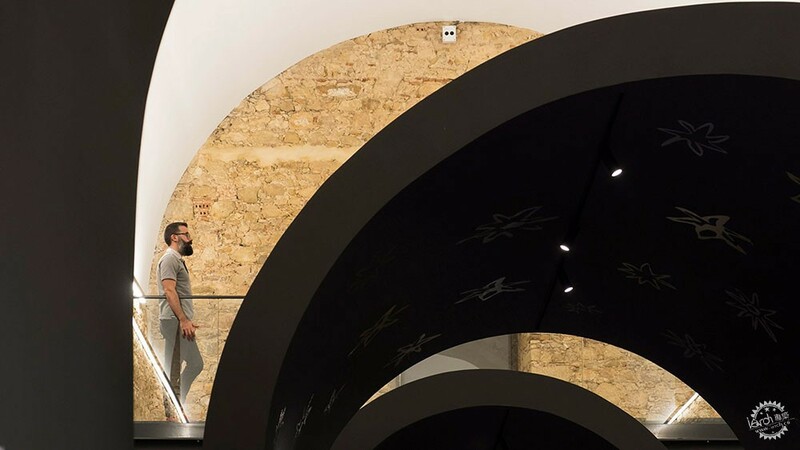 "The exhibition space is assumed as a delicate black element that invites its discovery, and that stands out from the remaining chromatism of the existing space, without ever overlapping it, but without losing its spatial characteristics," said the architects. 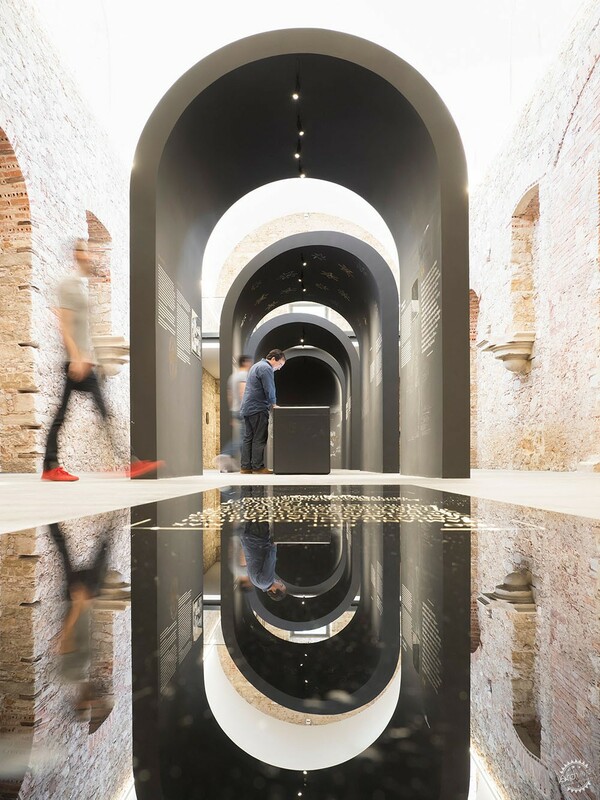 "We fell in love with the church, with all its chromatism, scale and symbolism," they added. 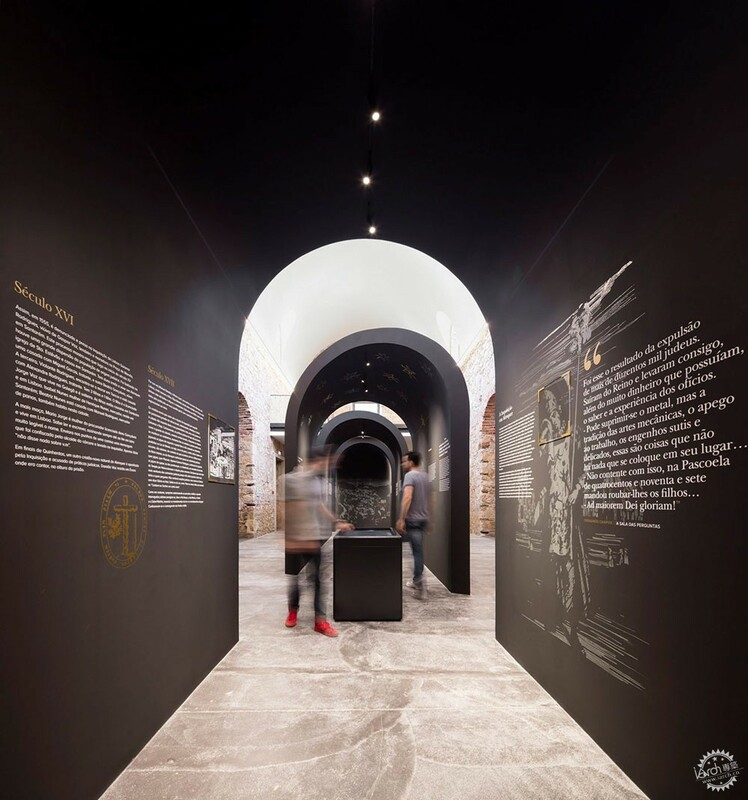 "Our concept was to create some kind of time capsule where the visitor can get in touch with the history of Damião de Gois." 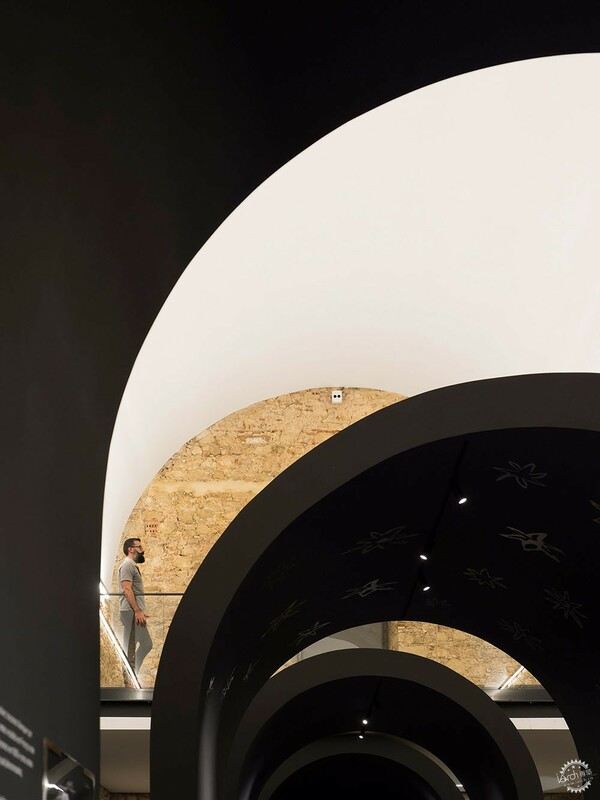 Based locally, Spaceworkers was established in 2007. 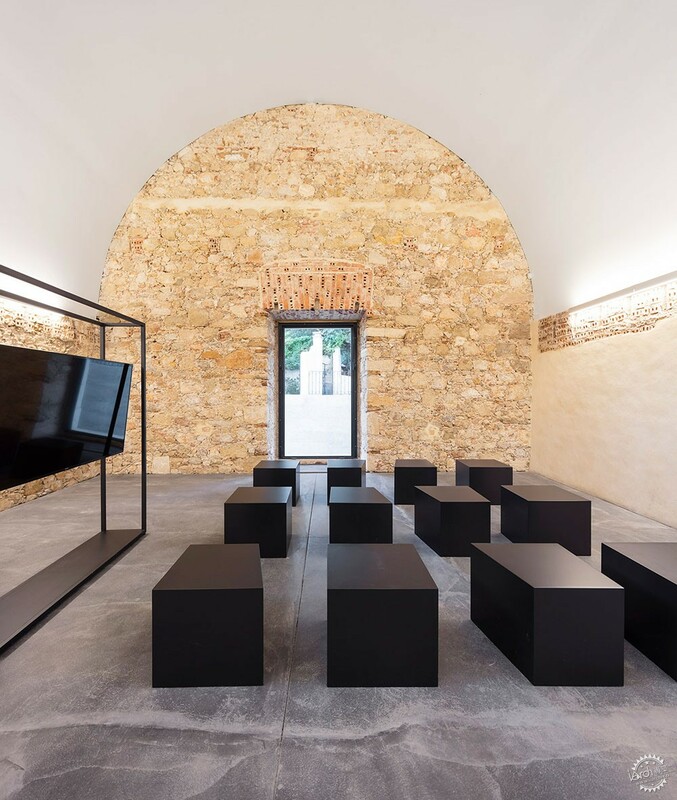 The studio has worked on a number of exhibition projects in Portugal, including a cultural centre inside a 19th-century schoolhouse.